RAPAPORT... Signet Jewelers’ shares slumped 14% in early trading Thursday after the retailer reported a deeper loss, even as sales grew. The retailer’s net loss intensified to $38.1 million from $12.1 million a year ago due to higher expenses and the absence of interest income from its prime credit program, which it sold for $960 million in October 2017. Same-store sales rose 1.6% in the third fiscal quarter ending November 3, partly due to initiatives to refresh and refocus jewelry assortments, as well as clearance sales to make way for new merchandise, Signet reported Thursday. Its strategic efforts are part of the “Path to Brilliance” program it launched in March to realign the company with consumer demand following weak sales. “We’re still…only three quarters into our three-year transformation, but we’ve introduced a number of new initiatives this quarter that will support the Path to Brilliance and help us become a share-gaining category leader,” said David Bouffard, Signet’s vice president for corporate affairs. Total revenue increased 3% to $1.19 billion, gaining from the addition of James Allen, the e-commerce unit it acquired in September 2017, and beneficial changes to how the group recognizes sales for accounting purposes. Signet saw improvements across most of its divisions, with same-store sales at Kay Jewelers up 0.7%, and Zales enjoying a 2.8% increase. Jared’s performance was flat by the same measure, which excludes new stores. 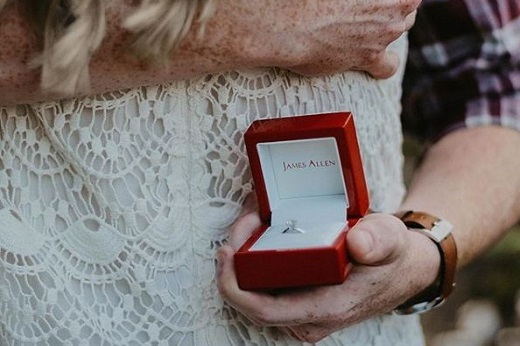 Same-store sales rose 16% at Piercing Pagoda and 14% at James Allen. Revenue rose 3.3% to $4.09 billion for the nine months ending November 3, while same-store sales increased 1%. The jeweler raised its forecast for the current fiscal year ending January 2019 following the results. It now estimates same-store sales growth ranging from flat to a 1% increase, whereas it had previously expected a 1.5% decline to flat. For the fourth fiscal quarter, which includes the holiday season, same-store sales will range from a 1.5% drop to a 1% increase, it predicted. “As we enter the holiday season, amid a highly competitive market and with key selling weeks ahead, we are keenly focused on delivering on our holiday plans and implementing the beginning stages of our transformation initiatives in our stores and on our websites,” said Signet CEO Virginia Drosos.